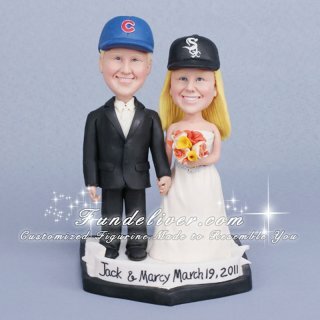 This is a completely customized Chicago Cubs and White Sox baseball wedding cake topper ordered by one of our customers. They would like for the groom to be in his tuxedo with a Cubs hat on and for the bride to be in her wedding dress holding her bouquet with a White Sox hat on. The bride’s hair is blonde and straight, and look very similar to our another Cubs & White Sox themed topper. The wedding dress is ivory and the tux is black with ivory vest, tie and shirt. They would like the bride and groom to be standing on the home plate base, holding hands with their name and their wedding date (Jack & Marcy March 19, 2011) on the front. Fans of Chicago Cubs or White Sox? 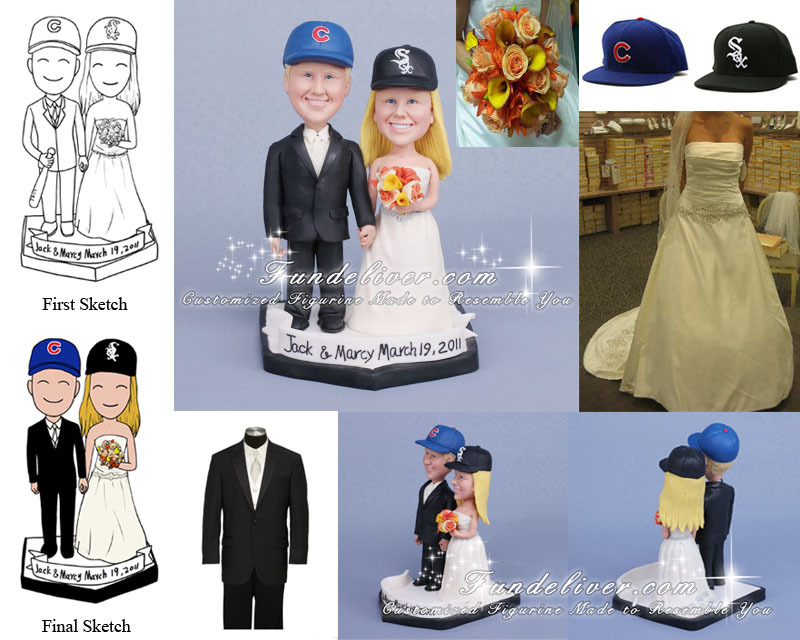 Don’t forget to check our other products relative to White Sox wedding cake toppers or Chicago Cubs wedding cake toppers.